Whether you want to pay off your mortgage, get out of debt, or save for a dream vacation, we found a pretty easy way to save a significant amount of money in a year. It’s called the 52-Week Money Challenge. How much do you save with the 52-week challenge? You save exactly $1,378! What is a 52 Week Challenge? It is basically the easiest way to save almost $1,400 in a year! Each week you save money incrementally into your bank account or piggy bank. The first week you deposit $1, the second week $2, and so on until you get to week 52. 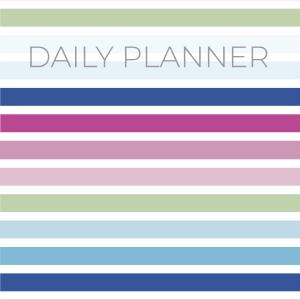 Use this free 52 weeks savings plan printable to keep track of your weeks. Just click on the image below and print it out. You don’t necessarily have to make the deposits in order, and you can pay ahead. For example, if you receive overtime or bonus money one week, you might use it to make three weeks of deposits. Now if you pay ahead and you’re hit with unexpected expenses, you’ll be prepared. Another option would be to do some of the weeks with higher amounts when you have a little extra money. It’s easy to set aside $1 a week, especially with a downloadable chart to track your progress. But toward the end of the challenge, it gets more difficult. Saving $50 or more per week in December may be tough, especially with all the expenses Christmas brings. Some experts suggest doing the 52-Week Money Challenge in reverse: week 1 save $52, week 2 save $51, and so forth. That way, you’ll only need to save $10 in December. Of course, there’s no law that states that you have to start the challenge in January. Maybe you want to start an emergency fund for when the car breaks down, or the washing machine stops washing. If you’re not going to use the money to buy Christmas gifts, then there’s no reason that you can’t start the 52 week challenge anytime you want. Another cool way to save is to check off the dollar amounts in any order you want. If it’s easier to check off the $40 and $50 amounts in the summer, do it. Just remember to hold yourself accountable by setting reminders to deposit your money into your savings each week. 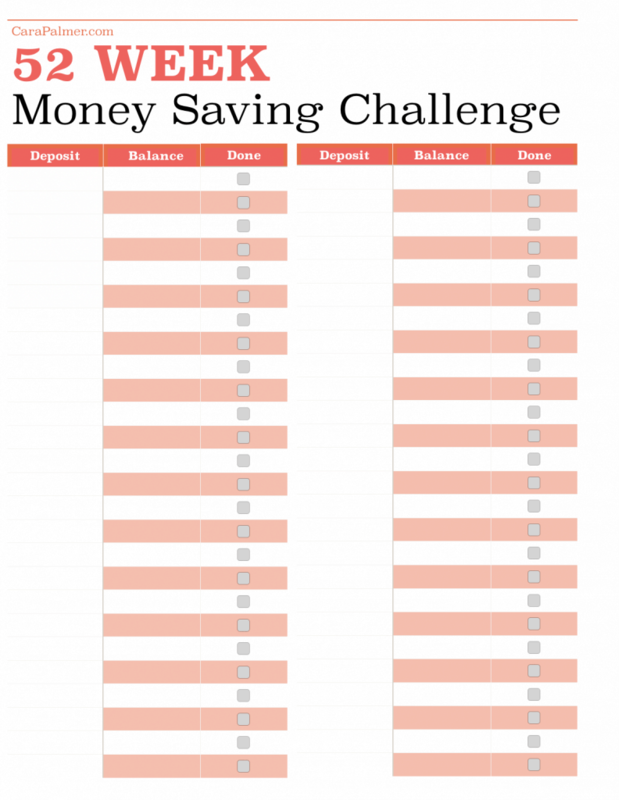 Print out this blank money savings challenge sheet and create your own challenge. Decide how much you want to save and divide that number by 52 weeks, and that’s how much you will need to save each week to meet your goal. How Can I Save $5,000? Don’t stop after week 52! After all, the only reason you start a challenge is to create a habit of saving. If you keep the challenge going for another year and continue to up your savings by a dollar a week for two years, you’d add another $4,082 by the end of the second year– for a total of about $5,500. 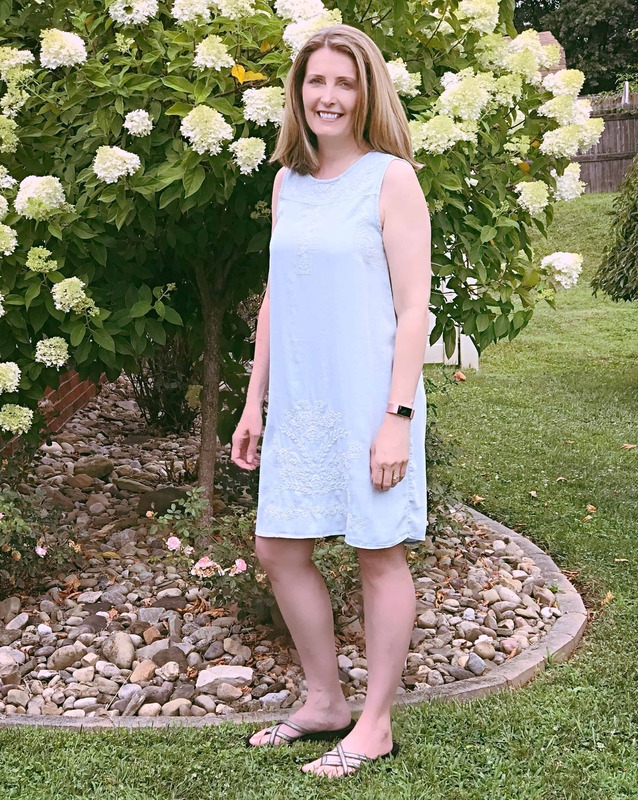 If you don’t want to wait two years to save $5,000, I have a one year plan with a free 52 weeks savings plan printable. Make sure you reward yourself for meeting your goals. For example, for every eight weeks that you’ve made all of your deposits, treat yourself to something that doesn’t cost money — binge-watch Netflix, or invite friends over to chat. Another way to stay on track is finding an accountability partner or someone to do the challenge with you. You can cheer each other on and share budgeting tips. Yes! There are lots of ways that you can make small changes that add up to big savings. For starters, you can make coffee at home instead of hitting the drive-through. Adjusting your thermostat just a few degrees can really help with savings too. I have hundreds of money-saving ideas for you to choose from, just pick the ones that work best for you. Another way to increase your savings is to make more money. You will find countless ways to make money if you know where to look. Here is a list of legitimate ways to make some money on the side. The hard part about saving money is deciding not to spend money on impulsive things like the latest gadget or new shoes. That’s why I think it’s best to use an automatic savings app — it allows your money to go straight to your savings, therefore, decreasing the chance of you spending it. If you don’t want to use an app, check with your bank and see what options are available. Most banks allow you to set up automatic deposits on any day you want. Some financial institutions even allow you to transfer money via text message, making it easy to follow the challenge. 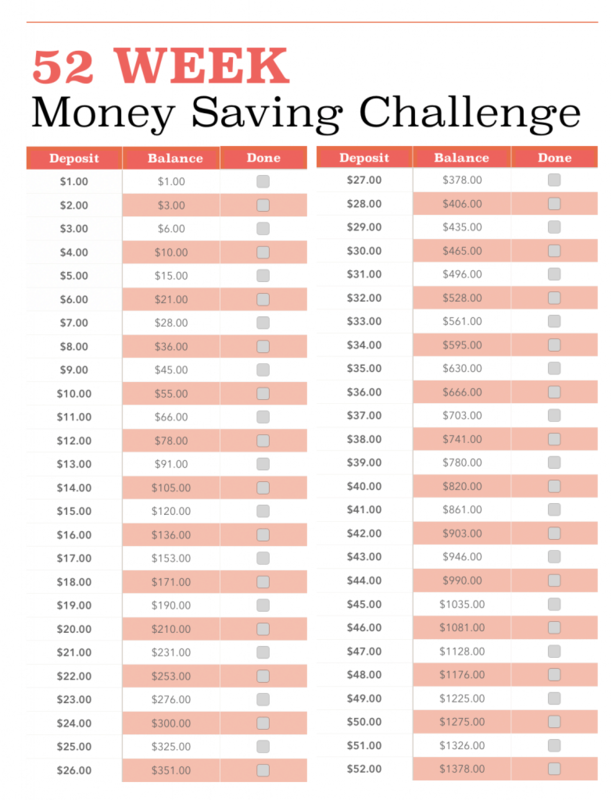 Either way, using an app or automatic savings schedule can make the 52-week challenge a little less challenging. Creating a habit that allows you to save consistently is key when it comes to completing this challenge. It’s easy to be enthusiastic about saving money at the beginning of the challenge, but that enthusiasm will fade, that’s why you need to maintain consistency throughout the entire year to meet your goal. The whole point of the challenge is to develop good habits and mindset of growth and abundance. Make small changes and stay focused on your goal. From saving money at the grocery store to starting a side job — it all adds up. Just take it one day at a time, and before you know it saving will come naturally to you, you won’t even have to think about it. 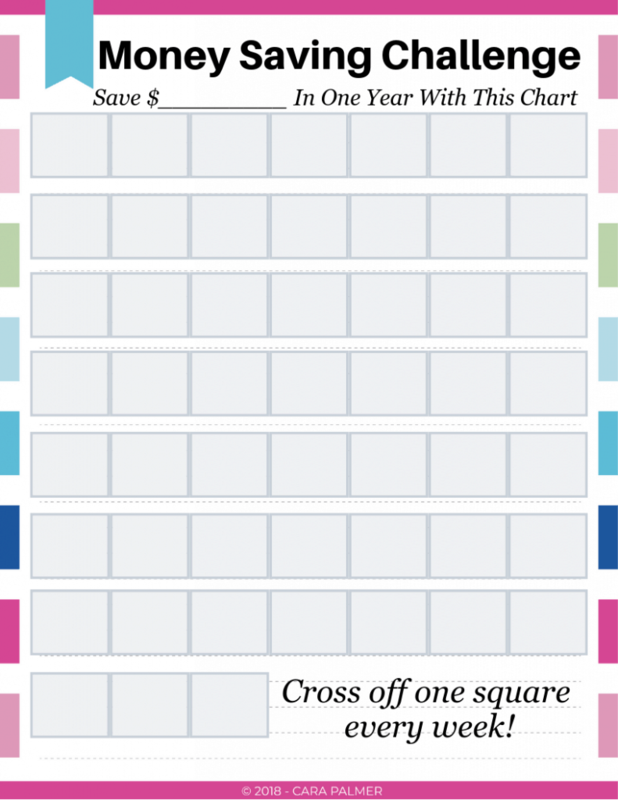 For more free printable savings challenge charts, like the one above, visit our resource page. We have a variety of premade and blank savings challenges that you can print out. To stay up to date on the latest free printables, be sure to follow us on Pinterest or Facebook.